Savannah’s youth. Now in our 13th season, we are beginning to see the long-term results of growing up in an environment that aims to inspire, educate, and entertain; something we like to call the SCT Impact. This series will include words from SCT Alumni who feel that their time spent within our walls has had a positive, tangible influence on their lives, both on and off the stage. There is no one more fitting to launch this series than the amazing Stanley Simons. Stanley first came to us under the impression that he was auditioning for a Shakespearian tragedy, only to find out that he had the wrong date and tried out for another show instead. Too polite to leave in the middle of something, Stanley stayed, and found himself fitted for a bright pink pig-suit, complete with curly tail. (We’ve scoured the world for pictures, but he seems to have done a great job of destroying all evidence of this first amazing costume.) Over the years, Stanley became an invaluable member of SCT, performing on stage countless times, and working constantly behind the scenes. Now a small business owner, Stanley agreed to share a bit of his story, in hopes that it will encourage others to make bold choices! “I remember walking into the doors of SCT. I was about to audition for Romeo and Juliet (excited and nervous). I was wrong. The audition was actually for Charlotte’s Web. Nevertheless, I put on my big boy pants, auditioned, and got a part. However, it wasn’t just another play for me. This play, unlike all the others, was at a community theatre. It was a real show. A show where you met a new director for the first time; that director puts a book in your hand filled with beautiful words written by someone else; that director wants you to make a bold choice at a particular time to explain why you decided to use those beautiful words; that director wants you to explain why your body had to move to a place underneath the lights where it was marked weeks ago. That’s it. In all that we do, in all that we say, I think that’s just about the most important bit of wisdom we have to offer. Dare to be bad. So much of theatre is stepping outside of your comfort zone, but if we’re going to reach those heartstrings or hear those belly laughs or hit those high C’s, we all have to do something a little bit daring. Every moment of live theatre has a 50% chance of being successful. The joke will land, or it won’t. The magic trick will fire, or it won’t. Toto will climb into Dorothy’s basket, or he’ll pee on the side of it. You never know. Every moment is happening live, and there are no second takes. 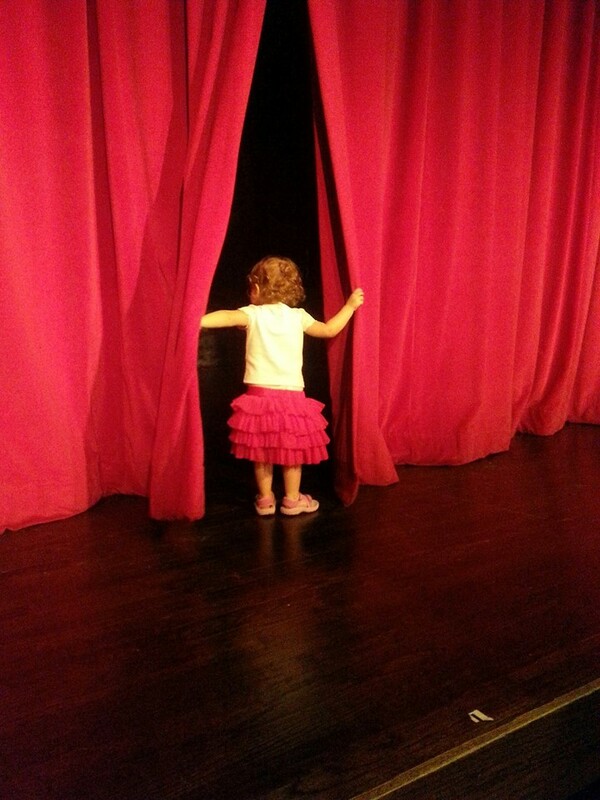 Yes, our name is Savannah Children’s Theatre, and the children are our everything. We can be a place where you drop off your kids for a few hours after school, and we can be a sends them home happy and tired. We would rather be a family meeting place; a place where kids can learn and grown their talents while seeing their parents thriving in a new, creative light. Dads can wield hot glue guns and learn a soft-shoe dance right alongside their sons, and moms can paint scenery and sing harmonies with their daughters. Grandparents can volunteer at the concession stand, and your crazy aunt (you know you have one) can help solicit donations. You can lend us your time and talents, and you can share your financial resources with a local non-profit that is dedicated to building up and equipping the youth in this very community. We are here to serve the children. But if we are going to serve them well, we are going to need some stalwart goofball adults to step up, and dare to be the leading man, or the second banana, or the committee chair. Dare to be involved in your kids’ extracurricular activities. Dare to know their friends and their teachers. Dare to know their talents. Dare to show them yours. Ahoy, thar, land-lubbers! We suspect ye’ll be wantin’ ter meet the robust crew of our next Kids on Stage show, HOW I BECAME A PIRATE! This fearsome group auditioned Tuesday last, and be gettin’ ready for a spectacular opening night just four weeks from now! Now, don’t let those nice faces trick you; they’re some o’ the fiercest pirates to ever sail the seven seas! (Well, except fer that Jeremy Jacob fellow.) We hope you’ll get yer boardin’ passes and join us for our voyage September 23 – October 2! You guys, I don’t know how to break this to you, but this school year is almost over. I know this is devastating news. What are you going to do with all of that extra time that you normally spend conjugating foreign verbs and creating PowerPoint presentations? For SCT, the end of school means the beginning of summer camp, which is our all-time favoritest-favorite thing to do. For eight glorious weeks, kids and teens get to focus on simply being here and enjoying a fully-immersive theatre experience without the added pressure of homework assignments, test prep, or matching socks. We adore getting to watch our students relax and enjoy their summers, with an absolutely 0% chance of sunburn. Rising 9th-12th graders need to apply for the program by filling out a JC application form and having it signed by a parent or guardian. If accepted into our program, JCs must attend a mandatory training session, and be available to work an entire session of camp, including the show weekend. If you have any questions, please feel free to ask them! Over the years, our JCs have repeatedly told us that they look forward to working summer camps more than almost anything else during the year. So…what are you waiting for? If you take away the microphones and the amber-gelled lights, the live orchestra and the hot popcorn, what is left? If you peel away the layers of make-up and wigs, choreography and harmonies, and get down past the outward beauty of a musical, past the firm skeleton of a play, down to the very heart of our theatre, what is left? SCT exists to provide all children with a safe and creative environment for character development by teaching appreciation for performing arts. All children. Not “talented” children (that’s a post for another day) or “dramatic” children (and another), but all children. Sometimes the shyest kid in class turns out to have the biggest voice, or the loudest attention-seeker turns out to have the most stage fright. Our teachers live for those moments of self-discovery! They celebrate the class-clown finally being able to play a serious scene without cracking up, and they loudly cheer the child with a lisp or a stutter who finishes their speech without giving up. Our teachers empower young people every day to try new things and feel new sensations. They help the pint-sized diva to learn humility, and they build up the confidence of the socially awkward. We try every day to meet every child where they are and hold their hand until they are ready to move to the next step. Whether they be theatrically gifted, academically challenged, living with a disability, or just plain stubborn, we recognize that each of our students learn in different ways, and we do our best to speak to their strengths. A word about students with special needs. We have them and we love them immeasurably. 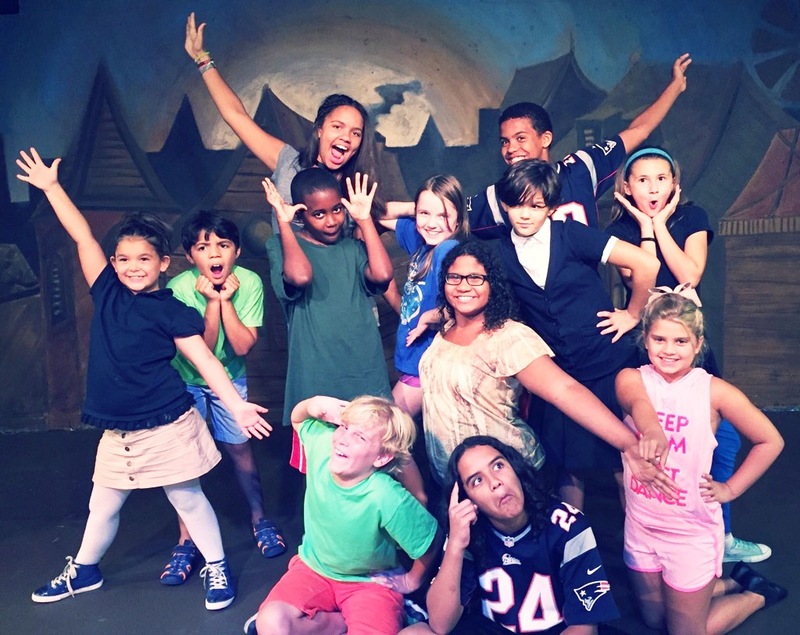 This season we have had 552 students in our theatre program, and 12,274 students in our field trip program. We cannot tell you how many special needs students we have because we do not “track” them. We do not single them out, tally them, or publish their numbers so we can get extra grant money. Our students with special needs are treated just like everyone else; we meet them where they are and embolden them to perform. All of our teachers have seen their special needs students make great strides in challenging areas; but the same wonderful transformations can be seen in our neurotypical/non-disabled students as well. The contents of the lives changed within SCT’s purple walls could fill a book, one that I hope is written and displayed in our lobby some day. This book would tell stories of children with blindness learning to do choreography, students with Downs Syndrome learning monologues, teenagers with ukuleles writing their own music, and kids with broken homes learning how to be part of a family unit again; our theatre family. We don’t only make theatre. We make connections. We teach children to look up from their screens and look into each other’s eyes. We teach them to look beyond their limitations and find themselves. We strive daily to fulfill our mission statement; to inspire, to educate, and to entertain. That is what we really do. SPAM, SPAM, SPAM, SPAM, SPAM, SPAM, SPAM, SPAM! We know. We love Monty Python, too. Since our auditions back in October, SCT’s halls have been filled with belly laughs, John Cleese imitations, and not a little bit of flatulence. We’re happy to say that we’ve enjoyed every second of it! When choosing our season, we quite literally “look on the bright side of life” to determine the reasons why we should produce a show. Does it fulfill our mission to inspire, educate and entertain? Does it provide new performance opportunities to artists in our community? Does it have an inspiring message? While “what happens in Camelot stays in Camelot” may not be the most inspirational quote you’ll see in your news feed this year, we believe that the over-arcing goal of Monty Python’s Spamalot is to bring joy and laughter to it’s audience. From the French Taunter (“your mother was a hamster!”) to the Artists Formerly Known as the Knights Who Say “Ni!,” we hope you enjoy this farcical journey through the Middle Ages with King Arthur, and his Knights of the Very, Very Round Table. …waiting for it to start. The build-up of excitement is almost unbearable. The purple seats in this theatre have been her gateway to everyone from Shrek to Pinkalicious, from princess castles to flying cars, so she knows that something amazing is going to happen. As anyone who has taken their kids to a restaurant or on a road trip can attest, waiting for the grand event can be a challenge. 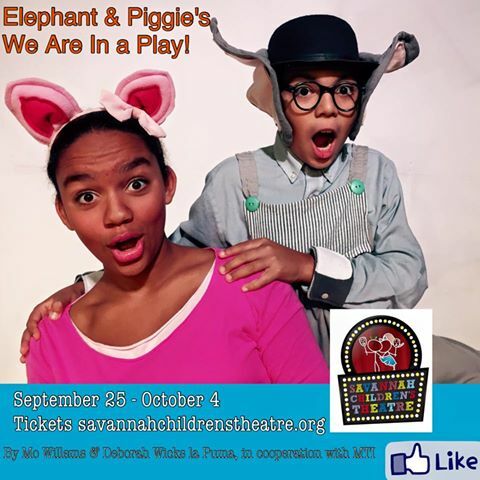 Which is why we at SCT have decided to try a few new things for this month’s ELEPHANT & PIGGIE’S WE ARE IN A PLAY, playing weekends September 25 – October 4. While you wait for our perfect-for-preschool musical to begin, you can enjoy the sounds of kid-friendly dance music in our oh-so-colorful lobby. (Is there a kid in Savannah who hasn’t made up a game jumping from one colored carpet square to another?) After you purchase your tickets, you’ll receive two playbills; one for grownups filled with theatre information, upcoming events, and ads from our amazing sponsors, and another one just for kids! The kid’s program comes complete with crayons, coloring scenes, a make-your-own-comic-strip page for our budding authors, as well as Mad Lib’s for some pre-show giggles. You can also get some great photos with our Elephant & Piggie cutouts in the lobby, or wait to have your photo with the cast at the end of the performance. Just make sure you hashtag those photos with a big #iheartsct. …what are you waiting for? Get those tickets today! Mark your calendars for this year’s Annual Masquerade Gala & Auction, on Friday, October 30, at the Johnny Harris Banquet Center on Victory Drive. 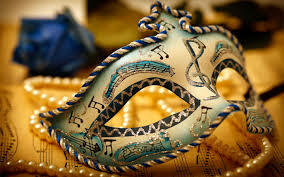 Doors to our biggest fundraiser of the year will open at 6:30 p.m. For this year’s Masquerade theme, we encourage you to be mysterious, creative, adventurous, and of course, glamorous! It will be an evening of entertainment, food, and fun for a very worthwhile cause! In addition to attending our gala, there are many ways you can support Savannah’s premier youth theatre. We are in need of volunteers in a variety of areas, including soliciting donations from local businesses, securing sponsors, publicizing our event, and setting up prior to the Gala. If you don’t have time to volunteer, but still want to help, consider submitting items or gift cards to be included in our Live and Silent Auctions. Do you or your business want to make an even greater impact? Become an event sponsor! There are three levels of sponsorship; Bronze ($500), Silver ($1,000), and Gold ($2,500). Each level includes Gala Tickets, program advertisements, promotion on our website and social media pages, and other great perks! Keep in mind, we are a 501(c)(3) non-profit, so donations to our theatre and event are tax-deductible. What about our theatre’s greatest champions, the children? While adults are enjoying an evening out, the children are having a scary good time of their own at our Halloween Party for kids! 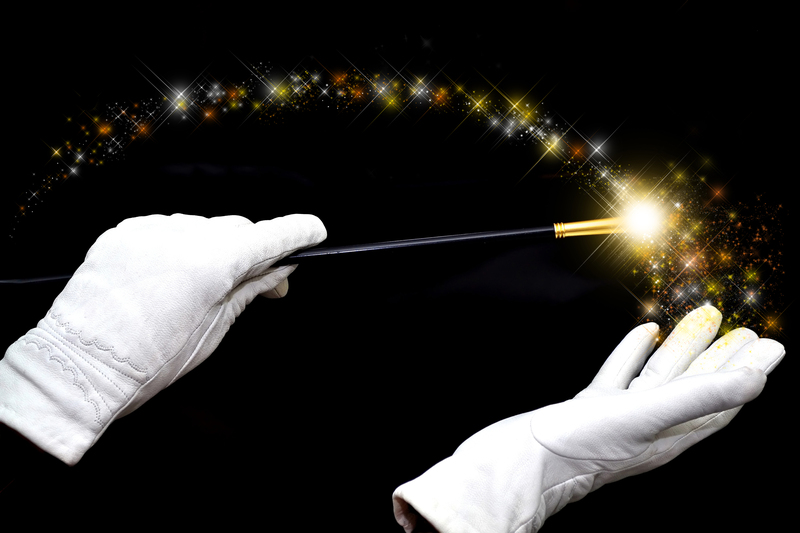 From 6 p.m.-11 p.m. at the Savannah Children’s Theatre, kids will enjoy pizza, fruit, goodies, face-painting and a magic show! Look for more information to follow. For more information on how to get involved with volunteering, donations or sponsorships, please contact Gloria Rigsbee. Let’s work together to make fairy tales come true! Based on the popular children’s books by Mo Willems (of Don’t Let the Pigeon Drive the Bus fame), this fast-paced, super-silly musical was an instant favorite with SCT Staff and Kids. Last night we had our first read-through of the script, and we had to wait for the cast to stop giggling before we could even move past page 5! We laughed our way through the entire play as Elephant, Piggie, and their friends enjoyed the thrills of parties (Gerald knows parties), ping-pong, and pachyderm puns. By far one of the silliest read-throughs we have ever seen! So who are these silly people? 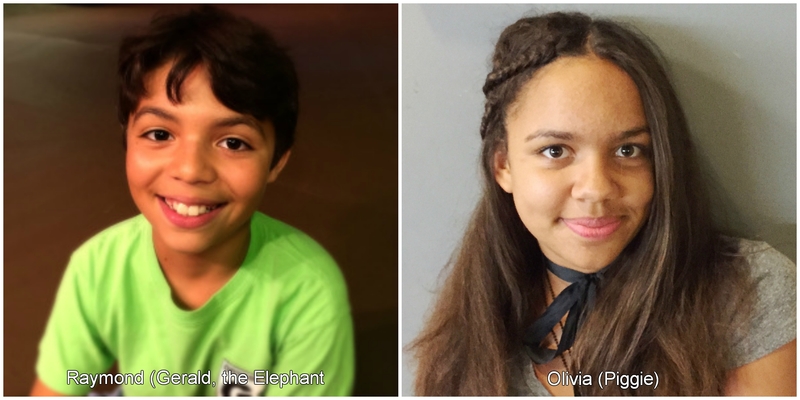 They are kids, ages 8-14, from all across Savannah, who enjoy sharing their talents with our community. They also really want you to come see their show, playing September 25-October 4 at Savannah Children’s Theatre! 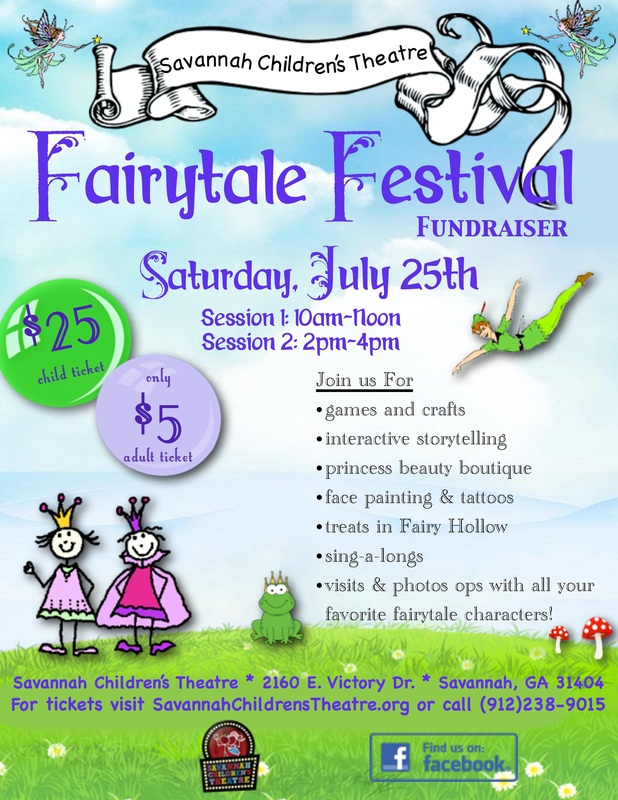 2nd Annual Fairy Tale Festival Fundraiser! Where else in Savannah can you dance with pirates, sing with princesses and play in the snow in July? 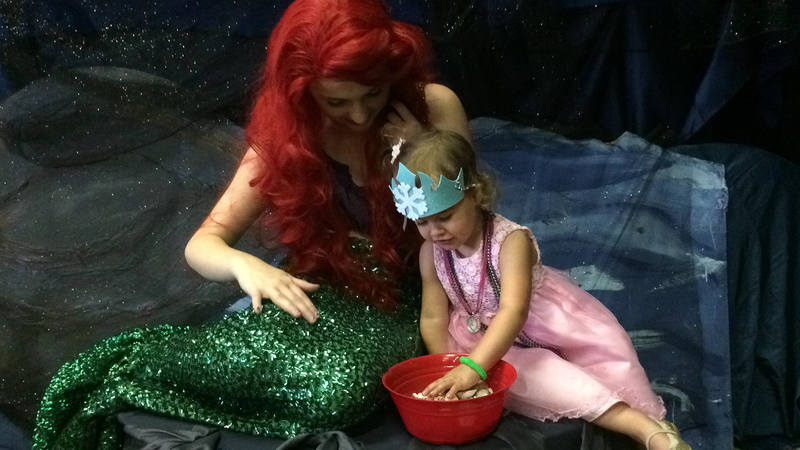 The Little Mermaid shares treasures with one of our Little Guests! Everyone at SCT is excited for another fabulous Fairytale Festival! Last year was such a great success that this year we have created two sessions to allow more one-on-one interaction between the characters and the children. We will have even more characters, including some storybook favorites like Alice in Wonderland and Jack, of Beanstalk fame. There will be live theatre performances every 30 minutes, and a brand new Royal Boutique! Choose tickets for either 10am-12pm OR 2pm-4pm! Upon arrival, guests will receive a Map of Storybook Kingdom, and will begin their journey through Mermaid Lagoon, the Enchanted Forest, Fairy Hollow and more! They can stop by the Royal Boutique where boys and girls will make crowns and tiaras, or receive a royal makeover by palace artisans! Along Storybook Lane they will meet Snow White, visit with Cinderella and her Prince in front of her golden carriage, and buy magic beans from Jack. On Wonderland Way they will visit with Alice to ‘pin the grin’ on the Cheshire Cat. 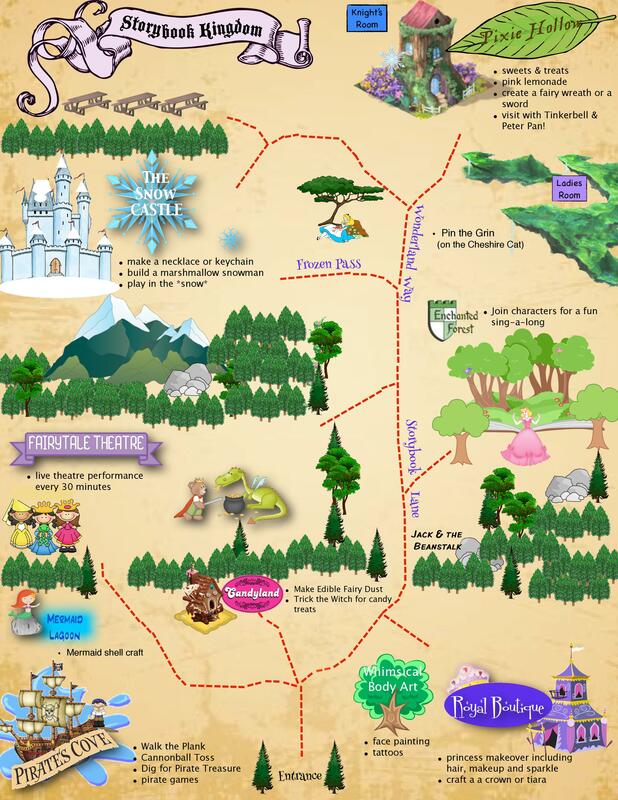 Look below to find the way to your favorite fairy tale spot! A few of our 115 guests at Fairy Fest 2014! Last year’s most popular land was The Snow Castle where children played in the *snow,* created necklaces and keychains, made marshmallow snowmen, and visited with the Snow Queen and the Ice Princess. Snow Castle is back again this year with more snow and even more frozen magic! Another favorite returning this year is Pirate’s Cove, where young buccaneers will join the pirate crew to swab the deck, load the cannon, and dig for buried treasure. Better follow Captain’s orders, or you’ll have to walk the plank! 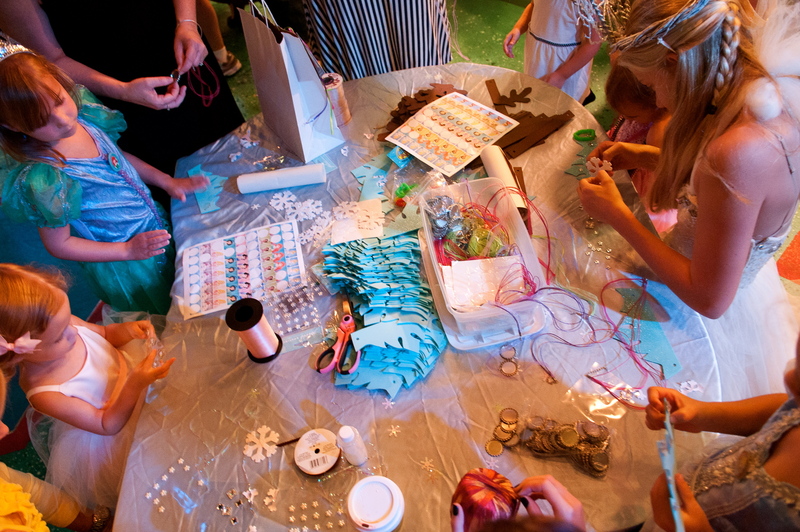 FairyFest 2015 is sure to delight children of all ages but is designed for ages 2-10. Tickets are available online or you can call our box office at 912-238-9015. To insure that the children have a special and memorable experience, we are limiting the spaces. We expect to sell out, so please purchase your tickets early!